Mountain bike enthusiasts often trick out their bike to get the best ride possible. This includes everything from a superb frame to high-quality gears. One of the most overlooked pieces of gear is the pedals. They’re an integral part of the bike that can be fully customized just the same. Regardless of the type of bike you’re on, great pedals are a must-have. You can’t ride your bike without them. They get you moving and play a huge role on mountain trails. When you get into more daring types of riding, such as mountain biking, the type of pedals you use can make all the difference. There are a couple of different types of pedals you can consider when customizing your ride. The two most common types of pedals for mountain biking are clipless and flat. They differ drastically and can ultimately affect the way you ride. Choosing the best type of pedal for you is all about personal preference. Both types of pedals offer their own advantages and disadvantages. Luckily, there are a number of options for each type on the market today, allowing you to choose the perfect pair of pedals for your specific riding style. Flat pedals are the type that you are probably most familiar with. On standard road bikes or simple mountain bike configurations, flat pedals are standard. They feature no special clip or strap to keep your feet on the bike. For novice mountain bikers, flats are an ideal training pedal. They are easier to train on and more familiar to use. There’s no special techniques or tools required to ride with flat pedals, allowing virtually anyone to pick up the bike and get going. There are a number of great advantages to using flat pedals. One of the biggest is versatility and ease of use. Unlike other pedals that require special gear, you can easily install these and begin riding. You also have free control of your feet. This makes it easier to learn new techniques or ride on unfamiliar terrain. Should you need to bail, you can easily touch the ground. The pedals also help teach proper balance and foot pressure. When it comes to disadvantages, flat pedals are known for their lack of efficiency on challenging trails. 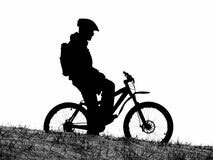 With mountain biking, you need complete control of the bike. Unfortunately, flat pedals don’t allow you to pull up on the pedals while climbing. Your feet may also bounce in rough terrain, causing you to lose control of the bike. 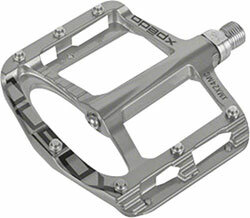 These pedals from Spank are a stylish and industrial addition to your mountain bike. They have a slick and clean appearance that complements any look. Not only that, but they are very durable. Weighing around 400g they are relatively light compared to other options, yet hefty enough to ensure that they’ll withstand a lot of wear and tear. The flat pedals are quite wide, providing your foot with more than enough surface area. However, the angled edge makes corner clearance a breeze. 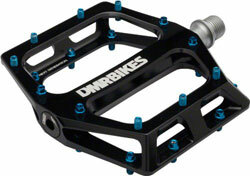 If you want a strong pedal that is easy to grip, the Vault pedals from DMR are a great choice. While considered flat pedals, they have a concave design that aids in strength and grip. 11 pins are included on each pedal. These pins can be adjusted and provide you with customizable grip. Their location on the perimeter of the pedals gives you perfect traction to ensure that your feet don’t slip. They are made from aluminum and have steel axles for strength. For the most versatility on rugged terrain, go with the Spry Platform pedals from Xpedo. These pedals are made to provide you with ultimate control in variable terrains. They are incredibly thin, measuring only 11mm in height. This thin platform gives you more foot and pedal clearance. Rough terrain and tight turns are not a problem. 14 pins on the large and wide platform improve your grip and traction. For strength, the pedals are cast from magnesium, ensuring they’ll last for many years to come. 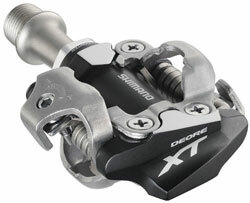 From Shimano are these effective and comfortable flat pedals. 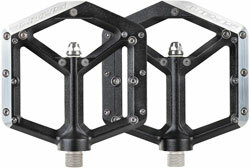 The PD-MX80 Saint pedals have a unique concave design. It’s made to shed any mud and grime that may accumulate during your ride. The shape of the pedal also makes it comfortable on the foot for prolonged use. 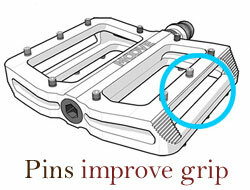 Adjustable pins improve your grip while the wide platform gives you more surface area for control. The pedals are also designed to keep your foot closer to the axle, which is more comfortable and calls for more efficient riding. 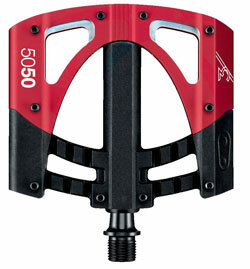 Designed for versatile road biking or rigorous mountain biking, the 5050 3 Platform flat pedals from Crank Brothers are great for bikers of any skill level. They have a very wide platform for your foot and have small pins located throughout. These pins are not overbearing, but they still provide superb grip in even rough terrains. Inner needle bearings and outer cartridge bearings make these pedals incredibly smooth and durable. The platform itself has an inner portion made of polycarbonate and an outer shoulder made of an aluminum alloy for durability. 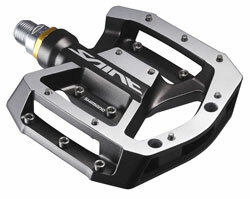 Clipless mountain bike pedals are mostly used by experienced riders. They offer a number of great benefits and are designed with mountain biking in mind. The name can be somewhat confusing, but it refers to pedals with springs that attach to a cleat on the shoe. A clip refers to a cage or strap that locks the top of the shoe into the pedal. While both hold the foot onto the pedal, clipless pedals provide more control. A caged pedal is generally considered dangerous when mountain biking and should only be used on commuter bikes. There are a number of great benefits that come with clipless pedals. The biggest is efficiency. With clipless pedals, every stroke you take is more powerful and efficient. This is due to the position of your foot on the pedal, which remains the same every time you get on the bike thanks to the cleats. You will also have more control. You’ll be able to pull up the bike with a climb and use pressure to control movement. The learning curve with clipless pedals is the biggest disadvantage. They can take some time to get used to. Not only that, but there’s a slight delay when placing your foot on the bike or removing it. Bailing can be a bit tricky as you must always take a second to remove the cleat from the pedal. 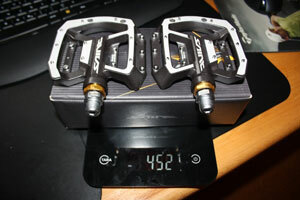 This pair of pedals from HT Components is carefully crafted to exact measurements. 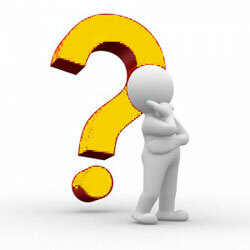 CNC technology is used to cut the aluminum to precise specifications. In addition to an effective spring and cleat system, the pedals have pins for added stability and grip. A high tension spring system will keep your feel secure through even the roughest terrain. They have a robust weight of 470 grams, making it perfect for downhill riders that need something a bit heftier. The pedal float is rated at 4.5 degrees, giving you more than enough mobility. Crank Brothers are an increasingly popular brand among biking enthusiasts and professionals alike. 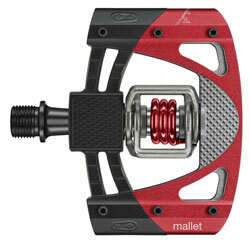 The Mallet DH Race pedal is designed for intense downhill riding. The machined aluminum body is incredibly solid, allowing you to ride through rocky terrain and flying debris without worrying about too much harm. An inner needle bearing and outer cartridge bearing provide smooth rotation and operation. The spring and cleat system is strong enough to keep you grounded. However, a release angle of 15 – 20 degrees makes it easy to bail out quick. Shimano pedals are highly sought after and respected in the mountain biking community thanks to their high-quality build and superb technology. 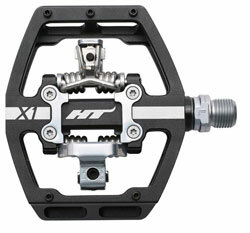 The PD-M780 XT Race pedals use Shimano’s classic SPD design, which is a unique system that provides ultimate control. It is double sided for easy access. When attached, your feet have about 4 degrees of mobility for comfortable pedaling. The entry and release spring tension can be adjusted. This allows you to create a fully customized riding experience. A sealed cartridge bearing system ensures you have smooth operation wherever you ride. 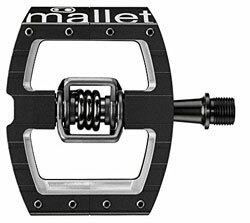 Another great option from Crank Brothers, the Mallet 3 mountain bike pedals are easy and fun to use. Unlike other clipless pedals with strict entry points, the included cleats can attach to the pedals from 4 different sides. The cleats also provide 6 degrees of movement. 6 pins on the platform increase grip while the open design sheds mud as you ride. Needle and cartridge bearings provide a smooth rotation while a steel axle and springs provide the strength and durability you need to ride rough. 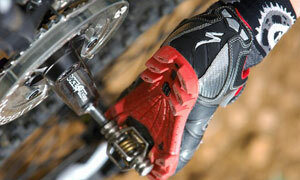 Once you’ve decided which mountain biking pedal to go with, you’ll be met with numerous options. Manufacturers all use different materials and designs to craft their pedals. When you’re on the lookout, there are a few things you should consider. These considerations will ultimately affect how comfortable and effective the pedals are. While most don’t give it a second thought, the pedals of your mountain bike will take a beating. Regardless of how you ride, they’ll eventually experience a bit of damage from debris, the terrain, and wipeouts. You want to find pedals that can withstand all of this. Tough metals like steel and magnesium are more durable than light metals like aluminum. Go with a pedal that is robust enough to last a few years at least. Chances are, your pedals will be filthy after an intense ride. If you’re not one to wash your bike after every ride, look for a pedal that sheds mud easily. These pedals will ensure that things stay relatively clean, keeping maintenance requirements low. Open designs tend to stay cleaner than large flat designs. For both flat and clipless pedals, the grip onto the pedal is important. It’s more important for flat pedals, as there’s nothing keeping your feet on the bike. Pins help to improve your grip. The more pins, the better your grip. Furthermore, adjustable pins provide custom control. If you go with a clipless pedal, you’ll want to look into how easy it is to attach and detach. With some pedals, a specific angle of the foot is required. With others, the included cleat is versatile enough to accept the pedal at any angle. Either way, you want to find something that you’re comfortable with. Too much of an entry and exit angle may prove to be difficult to manage in a pinch. With any type of pedal, adjustability is always appreciated. If you see an adjustable option, give it a try. The more you can customize the pedals to your riding style the better. Clipless pedals often have adjustments to entry and exit angle as well as tension. This makes mastering the clipless pedal a breeze. The weight of the pedals can have a huge effect on your ride. Depending on the type of mountain biking you do, a mere pound of added weight can throw things off. The same goes with platform size. While a larger platform makes it easy to grip on blindly, the added width can drastically affect the way your maneuver.